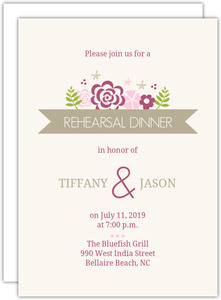 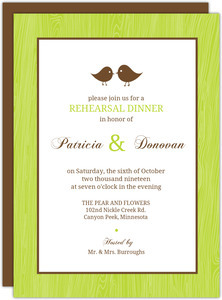 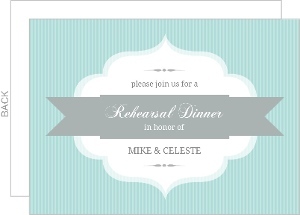 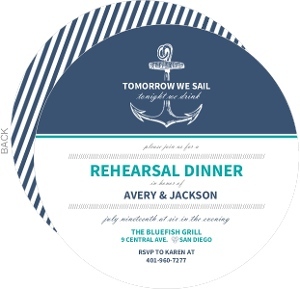 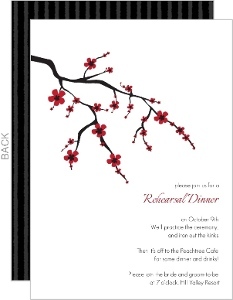 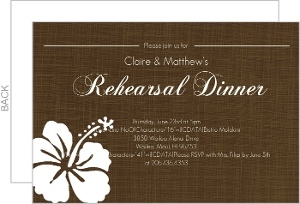 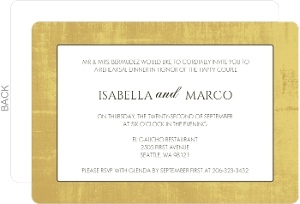 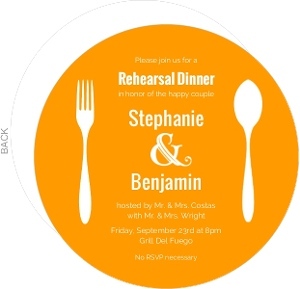 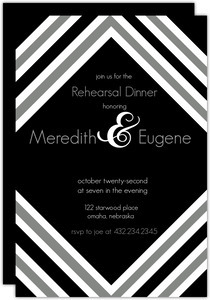 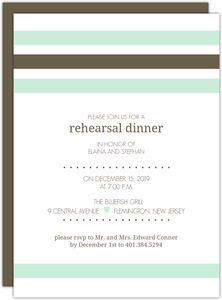 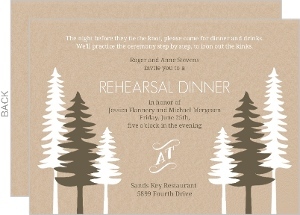 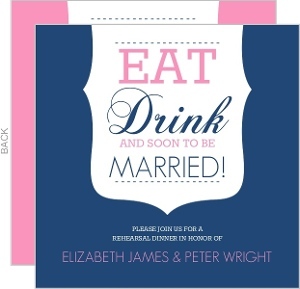 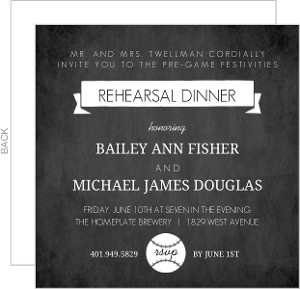 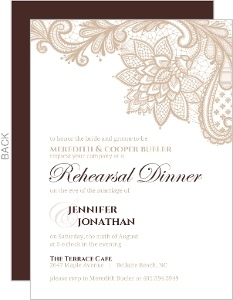 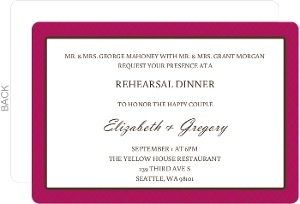 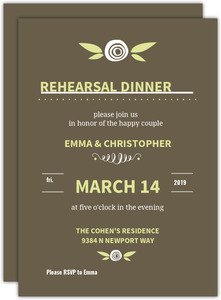 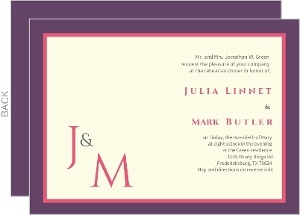 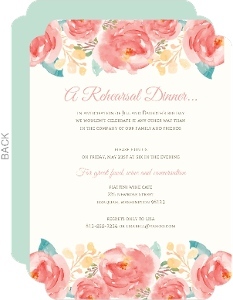 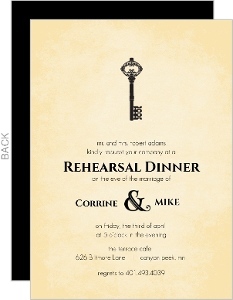 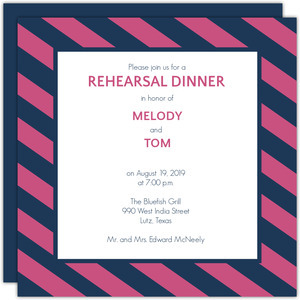 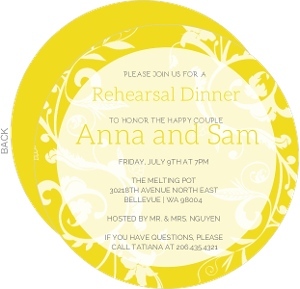 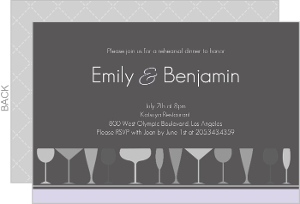 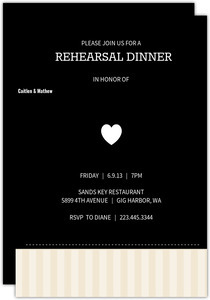 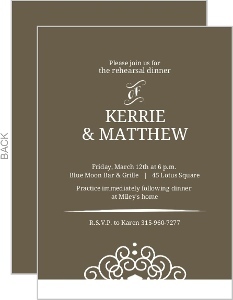 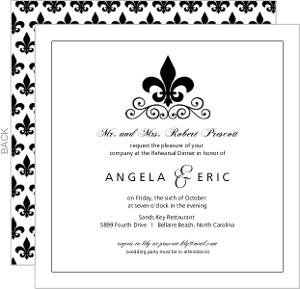 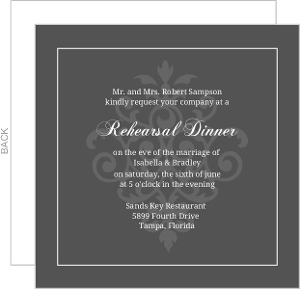 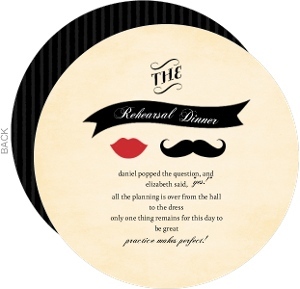 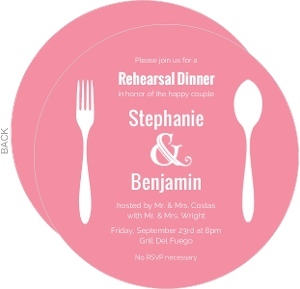 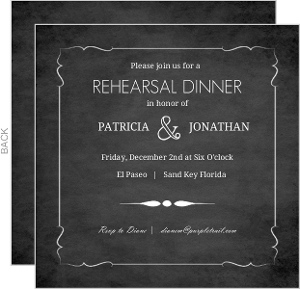 Rehearsal Dinner Invites are a pretty loose piece of wedding stationery. 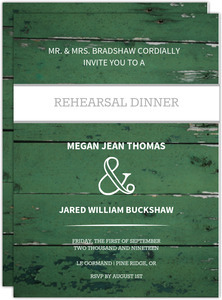 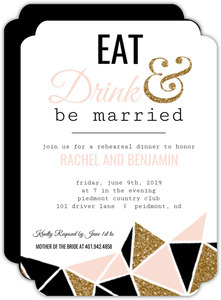 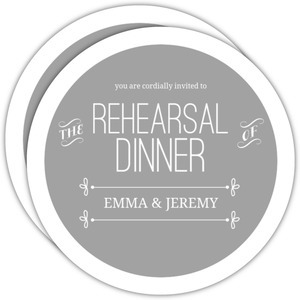 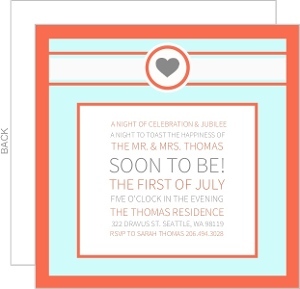 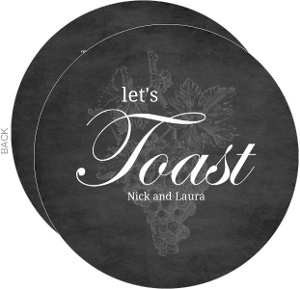 Rehearsal Dinners are pretty low key, informal, and as such, the invites can be too. 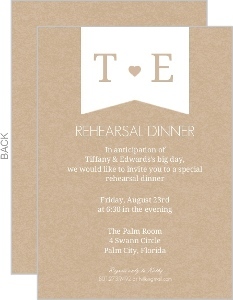 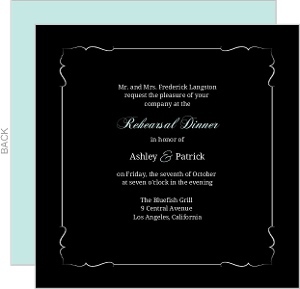 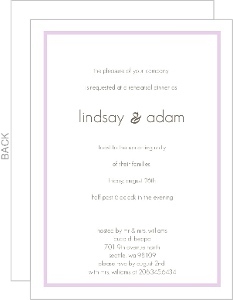 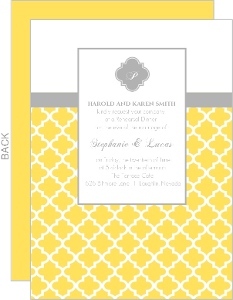 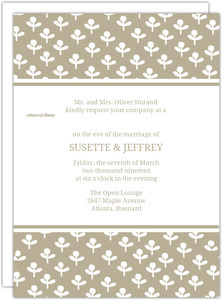 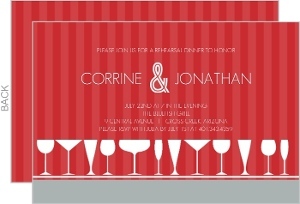 So don't feel like these have to be the same level of classy as your invites are, and they don't even have to match. 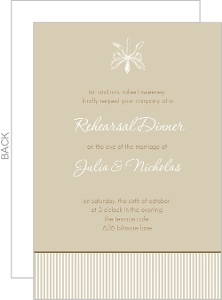 So relax, pick a design you like, and customize it as you want. 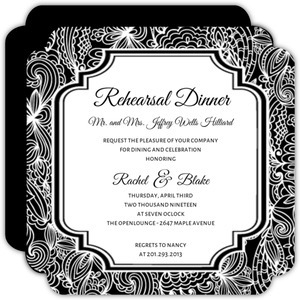 We'll get them printed shipped quickly, and rush processing and shipping is available in case you forgot these. 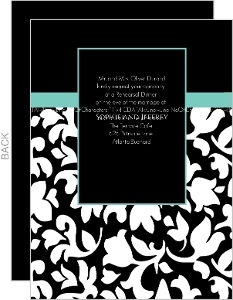 No worries, we've got you covered.